Make a statement and impress with our tilt and turn windows with a modern edge. Our Smart aluminium tilt and turn windows will add to your home’s sophisticated style, with a modern tilt and turn function and super slim-line frames.We supply aluminium tilt and turn windows manufactured from the EcoFutural profile from Smart. Our market-leading aluminium profiles feature chambered polyamide thermal breaks for excellent weather performance and energy efficiency. Compatible with a range of accessories, our high performance visoline aluminium tilt and turn windows are suitable for both domestic and commercial applications. Incredibly energy efficient, our Smart tilt and turn windows are capable of achieving U-values as low as 1.0 W/m2K. Offer your customers unbeatable thermal efficiency for their home. Chambered polyamide thermal breaks provide outstanding weather performance, eliminating draughts and water ingress to ensure product efficiency and durability. Our versatile visoline aluminium tilt and turn windows are available in a selection of external flat faced profiles with internal beading. They are internally glazed and can be specified with square or round edge beads. Our visoline aluminium tilt and turn windows offer exceptional strength, durability and are resistant to rust and corrosion. When combined with their unique multi-functionality, this standard of quality enables them to excel in practicality and design. Slim sightlines, increased glass area and less framework make for an ultra-modern, sleek and stylish look. 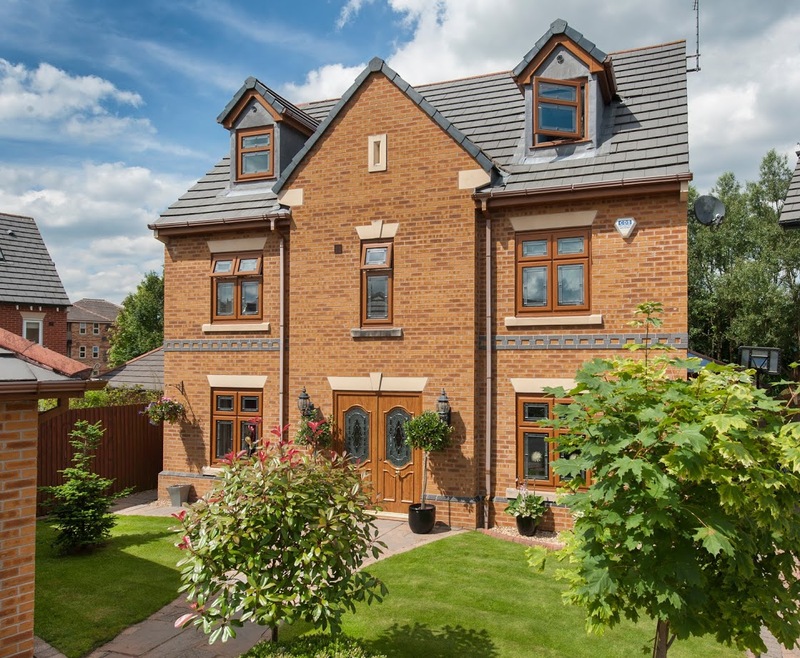 This means our aluminium tilt and turn windows can either be a seamless addition to any modern home, or they can bring a contemporary flair to more traditional properties. Low maintenance and built to last, our aluminium tilt and turn windows have a great life span – being measured in decades rather than years. This is due to aluminium’s natural robustness, weatherproofing and rigidity. Sustainable, recyclable and eco-friendly, our visoline aluminium tilt and turn windows are better for the environment. This ensures a higher standard of peace of mind that can only be achieved by sustainable windows. Choose from an extensive range of RAL colours and finishes. We even offer dual colour options so you can have different colours inside and out. Our powder coated finishes are extremely tough and resilient and will not fade over time. 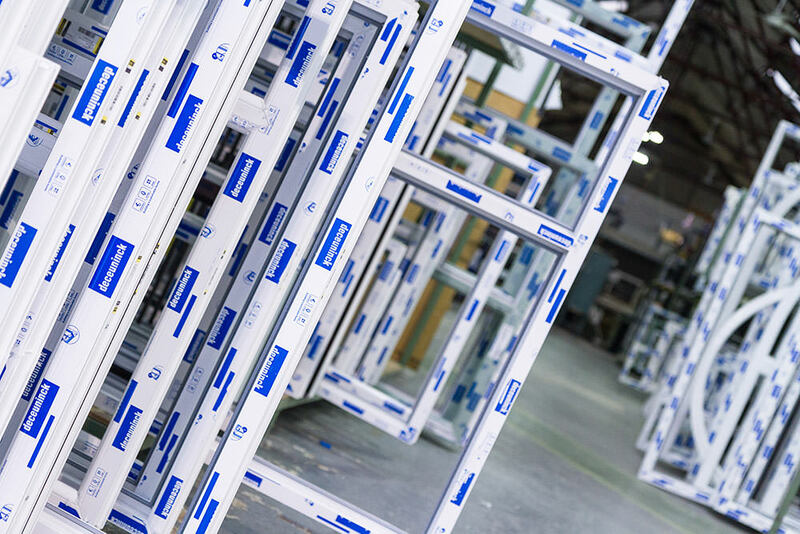 To ensure high performance across the board, our aluminium tilt and turn windows utilise the market-leading EcoFutural profile from Smart Architectural Aluminium. This profile features Smart’s innovative chambered polyamide thermal break technology that works to trap the warmth inside the home by creating a barrier between the property and the cold air outside. This increases the heat retention of the home and allowing your customers to save money and reduce their carbon footprint by a reduced thermal transmittance. Offer your customers a warmer, more comfortable home with an aluminium profile that has been weather tested to BS 6375 Part 1:2009 and security tested to BS 7950:1997. This profile features Smart’s innovative chambered polyamide thermal break technology that works to trap the warmth inside your home by creating a barrier between your property and the cold air outside. This increases the heat retention of your home and allows you to save money and reduce your carbon footprint by a reduced thermal transmittance. Guarantee yourself a warmer, more comfortable home with an aluminium profile that has been weather tested to BS 6375 Part 1:2009 and security tested to BS 7950:1997. Our available colour ranges will ensure your customer gets the perfect colour for their home. We offer the full RAL colour spectrum which excels in choice, whilst our KL range of colours promises the shortest lead times. We also offer the Sensations range from Smart, as well as wood finished and dual colour options for ultimate customisation. To get open and honest aluminium tilt & turn window prices, contact our expert team today.